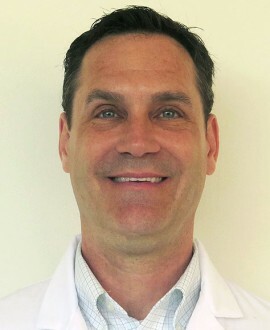 Eric Schaum, PT DPT GCS, I am the Patient Educator for all spine patients at The Spine Hospital at New York Presbyterian/Allen Hospital. Prior to joining Dr. Lenke’s team, I worked for many years as the Advanced Clinician in Acute Care on the orthopedic floor at New York Presbyterian Hospital. 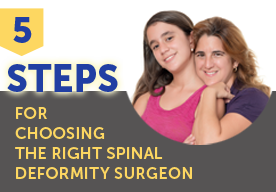 I assist Dr. Lenke’s practice by educating patients and their family members, from a physical therapy perspective, on how to prepare for such an extensive spinal surgery. In addition, I also educate the patients on what to expect postoperatively as well as precautions and limitations during the recovery period. I have extensive knowledge in the pre- and postoperative management and care of surgical patients, as well as the recovery process from a rehabilitation perspective. I have found that my experience and calm demeanor are especially beneficial to our more anxious and nervous patients. As a member of this collaborative approach, I am dedicated to the patients and their care givers, from the initial planning through to full recovery. Patients and family members continue to seek my rehabilitation guidance months after discharge and I feel that I can meet their needs during their routine followup visits or via phone and email to assist with any additional questions or issues they may experience. How does Eric regard Dr. Lenke? “Once I heard that Dr. Lenke was coming to our institution, I knew that I wanted to be a part of creating the best possible patient experience. Once I met Dr. Lenke, I knew that we both shared a passion for producing the best possible results for every single patient. I consider it an honor and privilege to work on such a gifted team.?? ?